Welcome to our Renaissance Tower Location. 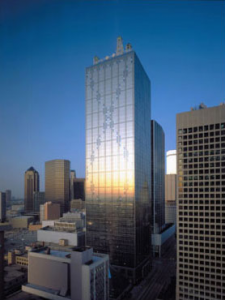 Renaissance Tower is located between Elm Street and Pacific at Field. Parking is available in the adjoining Renaissance Parking Garage and is validated. Entrance is located off of Field and Patterson. Office is in the lower level of the Renaissance Tower. The train stops 1/2 a block from our building at the Akard Station.